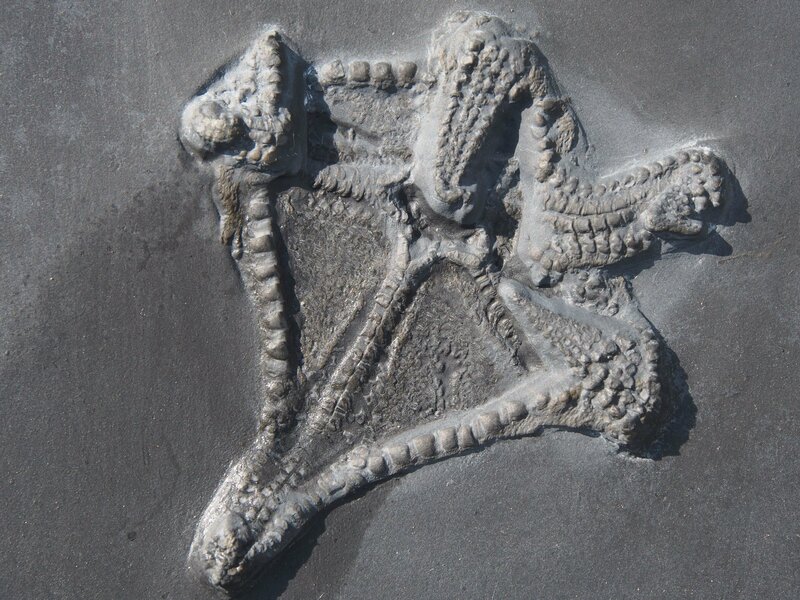 Euzonosoma was a brittlestar genus that existed during the Devonian period. This E. tischbeinianum is from the Bundenbach slate of Germany. The slate was quarried for use in the roofing industry for many years and, at least in some parts of Germany, you can still see houses covered by Bundenbach slates. Unfortunately, roof-slate mining in Bundenbach came to an end in 1999. The fossil has been replaced by iron pyrite or ''fool's gold''. The brittlestar already started to become decomposed at the tip of the arms.